#15. The intensity of interventions matters - but how much? Understanding how best to help development not only involves discovering what approaches work, but also how much, and how frequently, intervention is necessary. Studies with children with Down syndrome are starting to offer some indications, but more research is needed. As we have been illustrating in the #education21 series, educational research is helping us to understand the learning difficulties and developmental delays experienced by young people with Down syndrome. Educational research is also beginning to explore what teaching approaches, therapies and interventions are effective at improving outcomes for the children. However, knowing what can help is only part of the picture. We also need to understand how much additional support is beneficial and how much is not. Recent studies involving children with Down syndrome are starting to shed some light on the extent to which different intensities of intervention can influence outcomes. In one study, Jill Allor and colleagues in the USA conducted a longitudinal randomised control trial of a reading intervention for children with intellectual disability in Grades 1-4 (including some children with Down syndrome) over a four year period. The children in the intervention group received daily structured teaching sessions for 40 to 50 minutes in small groups of 1-4 students and they made significantly more progress on language and reading measures than the comparison children. However some children required this daily instruction for 2 to 4 years to make the progress a typical child is expected to make in a year. The authors stress that their findings demonstrate that children with intellectual disabilities can achieve meaningful literacy goals but that for them to achieve this educators must recognise that high quality instruction must be delivered intensively over prolonged periods of time. 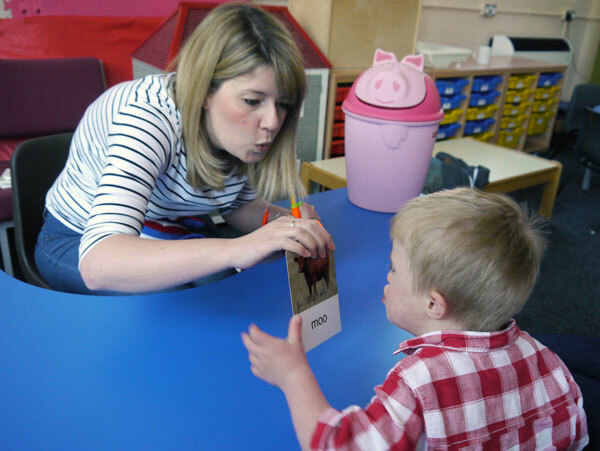 A randomised controlled trial of a daily reading and language intervention involving 57 children with Down syndrome in two areas of the UK reported similar findings to the US study. In this study, children with Down syndrome received the intervention daily for 40-50 minutes over two school years. One of the factors predicting progress with word reading was the number of teaching sessions attended - in other words, children receiving more teaching sessions made more progress on average than those attending fewer sessions. In one of the studies we discussed a couple of weeks ago, while intensity was not the focus of the paper, for some children some targets were only achieved after more than 70 teaching sessions. There is also some evidence that intensity matters in early language interventions. Paul Yoder and colleagues in the USA compared the effectiveness of an early communication intervention for children with Down syndrome aged 18-27 months when provided with a 1 hour session each week or five 1 hour sessions each week over 9 months. The children receiving the intervention for 5 days a week made more progress and had more spoken words at the end of the study than children receiving one session a week even when general intellectual ability is controlled for. While there is limited research examining speech interventions for children with Down syndrome, studies with other children highlight the importance of the intensity of intervention. One example of a recent study is that of Melissa Allen in the USA evaluating therapy for preschool children with speech sound disorder. Children who received 3 therapy sessions a week for 8 weeks made more progress than children receiving 1 session a week for 24 weeks. This study has matched the total number of intervention sessions the children received but shown delivering these more intensively was more effective. Research considering the effects of intensity is in its infancy but of enormous practical importance. We need to know much more about how to teach our children and how they learn - especially in early intervention programmes. How often should parents be asked to practice early intervention activities? Is a 10 minute session every day as effective as a 20 minute session 3 times a week? Is the most effective pattern of intervention intensity the same for all children or does it vary with ability and temperament? 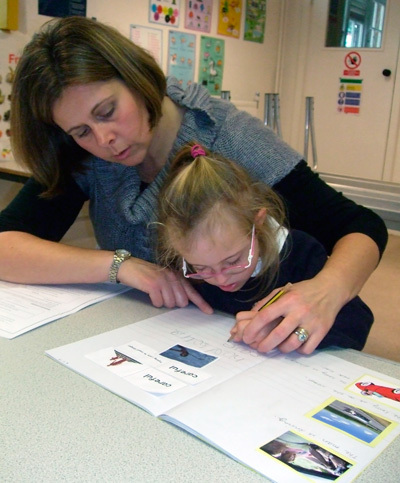 Educational research is informing educators and parents that children with Down syndrome can progress in small steps over prolonged periods of time to achieve important and meaningful gains, given consistent, high quality teaching. Research is also drawing attention to importance of evaluating the impact of intensity in early intervention and speech and language therapies.